‘The Black Market’ takes the listener on a journey of brotherhood and relationships and allows outsiders to see the struggle from negative to humble beginnings during their 'come-up'. Putting behind me the dislocated documentary screening which I was in attendance of a few weeks back (which I will NOT get into), I can't take away from the fact that PBGR have delivered with an astonishing body of work. 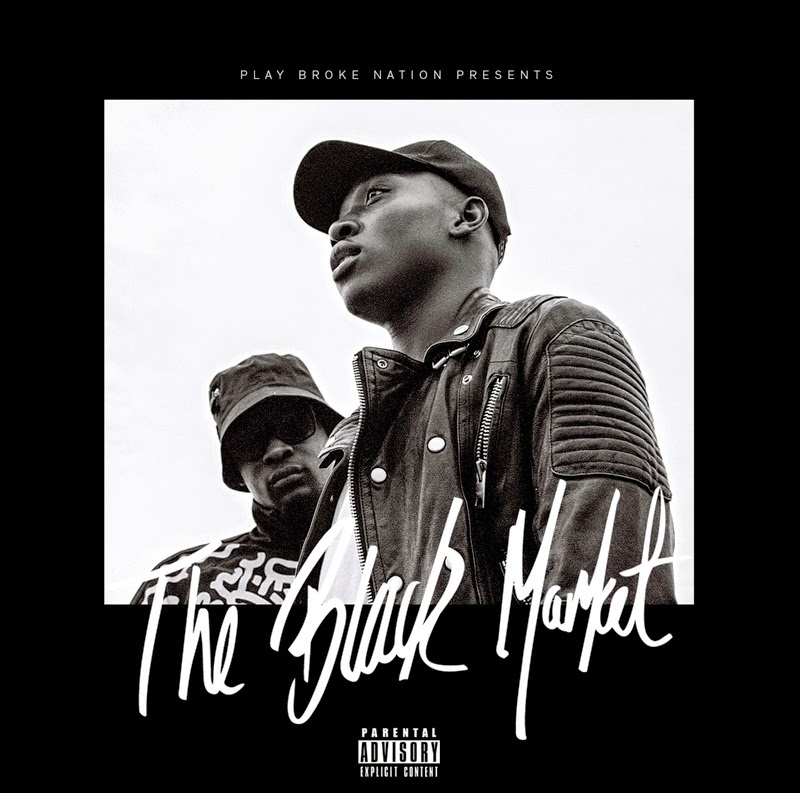 Their second project ‘The Black Market’ which has been marketed as a free album is one of their best works yet. The London hailing duo - Swarve and Crunch who aren't new names to this blog, have been putting in work over a year and now have their final masterpiece available for free download and is a definite collectors item. Why they gave out such magnum opus for free? I don't know. Swarve and Crunch bring a whole new sound and approach to the music scene, with their album being described as a representation of the 'new' London. Already having being cosigned by UK heavyweights - Mr. Bigz and Ghetts, ‘The Black Market’ is in touch with reality, offering a relatable account of their version of events to listeners. The 15-track project sees PBGR rap about their actuality from relationships to brotherhood to money and social commentary on the 15-track-album. Keeping things in-house from production to features, PBGR have a few worthy singles on the album including their stand out tracks ‘MindUrStep’, ‘SMW’ and ‘2MRW’. They sample the likes of Kp & Envyi's ‘(Shawty) Swing My Way’ on ‘SMW’ and Teedra Moses ‘Backstroke’ and ‘Be Your Girl’ tracks on ‘Second Chance (Interlude)’ – which is a personal favourite track of mine. Not forgetting Pharrell's ‘Frontin'’ on their ‘Second Chance’ record, and that Mos Def sample on the ‘2MRW’ track. It's clear that these guys put thought into their album, even down to the opening of ‘Rearview Mirror’ with the short spoken from Ayo Wrote word that leaves you wanting more. PBGR open the album with a strong number ‘March’ and close with a reminiscent track ‘Rearview Mirror’, but we can't overlook tracks like ‘Cross The Line’, ‘(soul)itude’, ‘Stockwood’ that show off their exceptional writing skills and lyrical ability, as well as previous fan favourites - ‘Well Wishers’ and ‘Gas Pedal’. Insightfully written by the duo, and creatively delivered over an array of eclectic beats and sounds ‘The Black Martket’ is an album not to be overlooked, or swept under the rug. Stream ‘The Black Martket’ below courtesy of GrmDaily and download it for free here.